The Extreme Everysports Mouse is an Event Mouse found during Great Gnawnian Games events. Cheese: See current Great Gnawnian Games location Charm: ?? Information on how to locate and capture the Extreme Everysports Mouse can be found on the current Great Gnawnian Games location page. 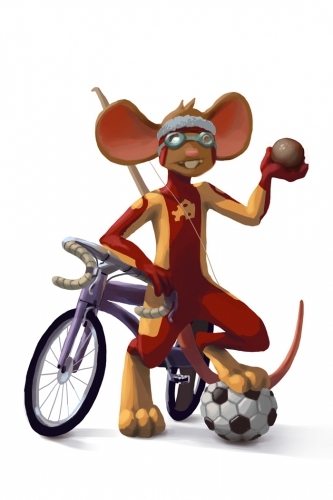 31 July 2012: The Extreme Everysports Mouse was released as part of the first Great Gnawnian Games. Erinaceous: Of, pertaining to, or resembling a hedgehog. This page was last edited on 22 August 2016, at 14:29.